If you were ever stuck for a Christmas gift then we have found your perfect match for presents this festive season. Hand Over Your Fairy Cakes was created by Sally McAdam in 2006 and since then she has built up her brand to be a delightful range of colourful jewellery designs. 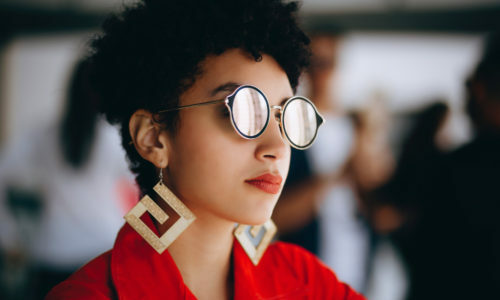 Sally uses a laser cutter to produce her pieces and loves using bright colours and layering to make something original and fun to wear. 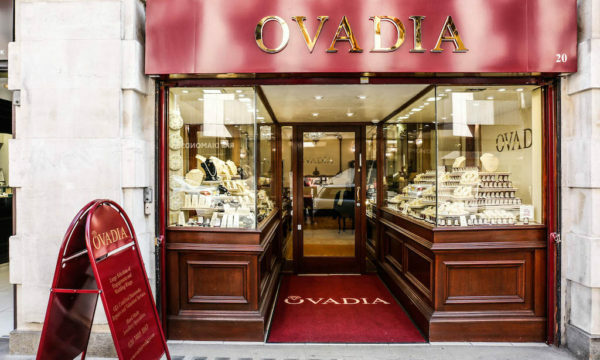 Varying from brooches to necklaces and earrings, this lovely brand will melt your heart with the pieces it has to offer. 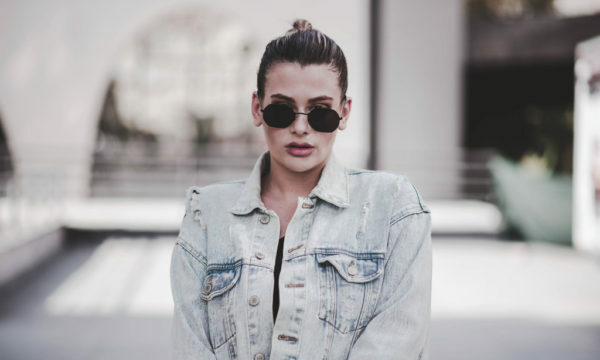 The collection has a very retro and nostalgic feel, with pieces reminiscent of childhood. The bright colours also represent a youthful feel to the brand. 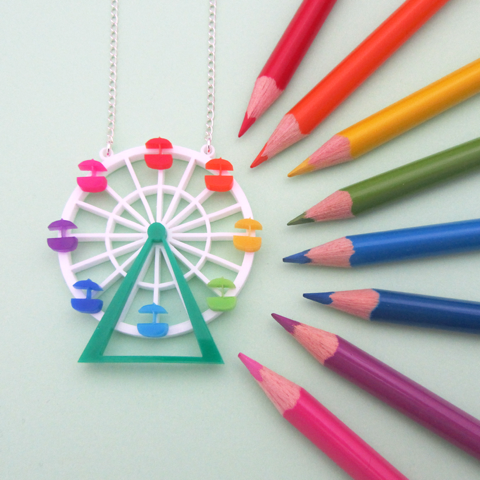 This very cute Ferris wheel necklace comprises of eight rainbow coloured carts and is just adorable. It is also very festive, with elements of a winter wonderland and fairgrounds. 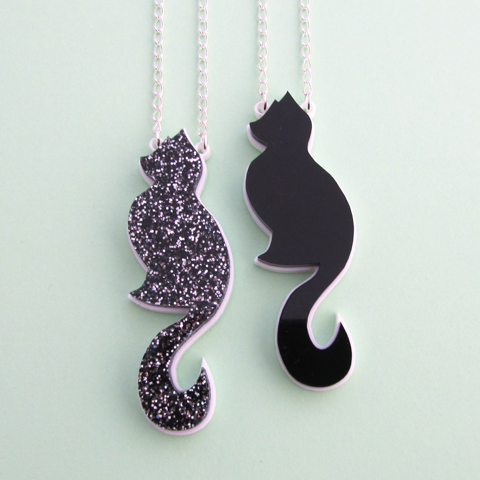 It costs £28 and comes on a silver chain. 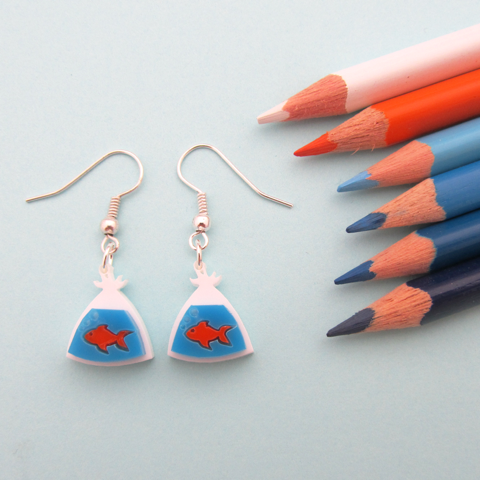 We just love these fish in a bag earrings, which continue with the fairground theme. 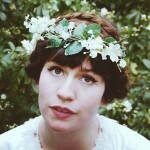 They are very sweet and would compliment a vintage dress well. 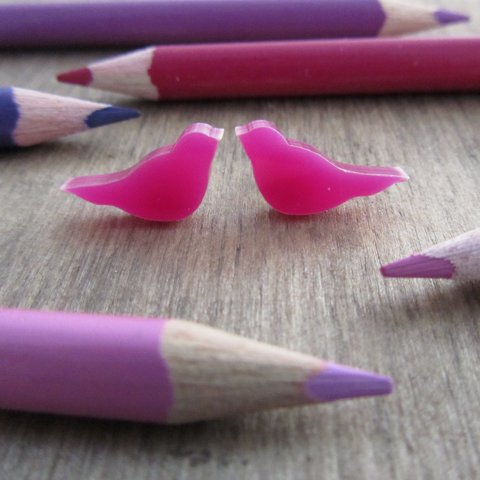 The design is also available in brooch, necklace or studs form and the earrings are £12. 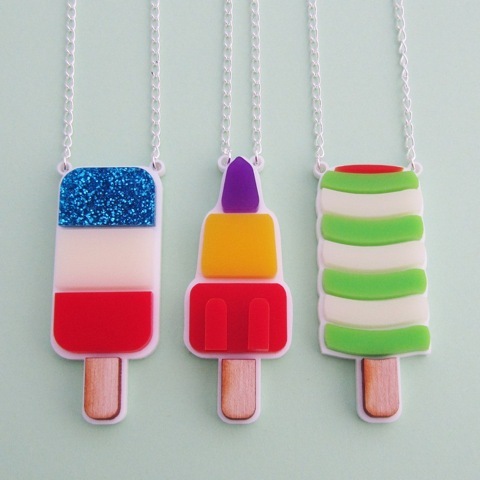 These retro ice lolly necklaces are also great. The FAB one is the most popular and uses glitter acrylic, something Sally loves to experiment with in her collections. 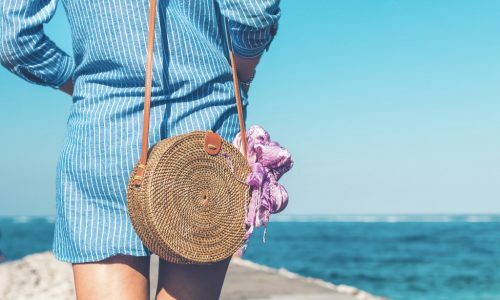 These iconic shapes and colours will make you feel a little bit warmer in the winter months. They are £20 each and come on a layered white background. Each piece is very sweet, bold and unique and would be the perfect stocking filler or gift for a friend this Christmas. So there’s no need to look dull this winter, hand over your fairy cakes here.